Nothing like encouraging the enemy to start another mass terrorist uprising. 1,100 Israelis were killed in the Second Intifada from September 2000 to December 2005. 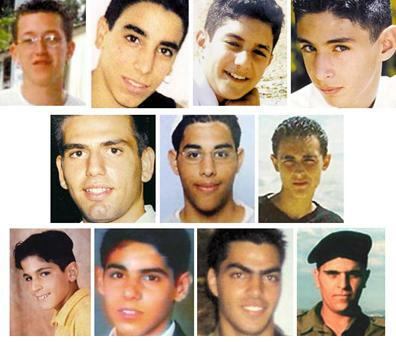 Victims of the December 1, 2001 Zion Square terrorist bombing. The only people who benefitted from this barbarism were the relatives of the two bombers who received President Saddam Hussein grants. The Obama State Department says another intifada may be necessary to force Israel into peace negotiations. Members of Kerry’s State Department team blast Prime Minister Netanyahu and warns Israel of another intifada if a peace plan is not reached with the Fatah-Hamas alliance. This comes a week after John Kerry suggested Israel could become an apartheid state.